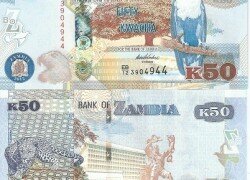 THE Kwacha is expected to continue trading in the positive zone owing to increased dollar inflows on the Interbank. Tight liquidity in the money markets has also contributed to the appreciation of the local currency while trading above K10.985. Liquidity is the amount of money that is quickly available for investment and spending. High liquidity is when money is easy to get while low or tight liquidity is when money is difficult or expensive to get. According to Cavmont Bank Zambia daily market report, the Kwacha appreciated on Thursday as it continued consolidating its gains this week. The bank reports that the local currency touched an intra-day high of K10.985 /K11.005 during noon trading from the day’s opening level of K11.180 /K11.200. The local unit was therefore expected to continue trading in positive zones should the market witness further inflows. The Kwacha closed at K10.9850 / K11.0050 – K0.105 stronger than Wednesday’s closing rate. to K1,492.73 million while the overnight borrowing and lending rate rose by 0.07 percent to 27.80 percent. Total funds therefore traded on Interbank were K212 million. The bank also said Zambia’s inflation for the month of March dropped by 0.7 percent to 22.2 percent from 22.9 percent in February. Meanwhile, the bank reports that price for commodities on the international scene had all gone down. Unlike in the past which Zambia had seen a consistent increase of the copper price, the red metal on Thursdays this week resisted a decline of $62.00, making a tonne trade at $4,826.50. A barrel of Brent crude oil was currently trading at $38.82, this was after the commodity registered a decline of$0.93 . The price of gold equally followed suit by dropping by $9.21 resulting in an ounce trading at $1,230.54.